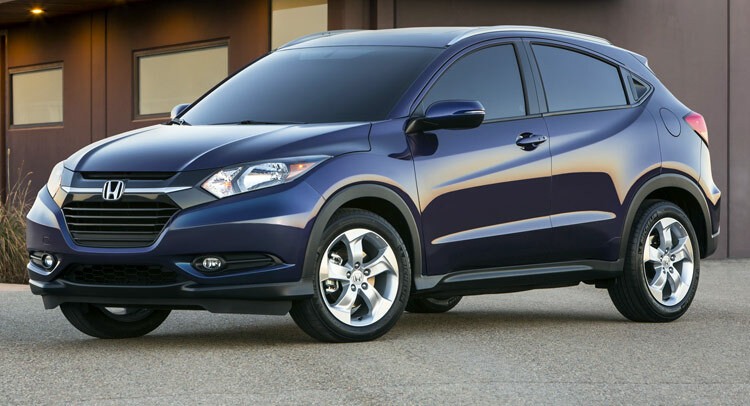 Honda has chosen next month's Los Angeles Auto Show for the North American premiere of its new entry crossover, the 2016 HR-V. Positioned under the facelifted CR-V, the new HR-V is expected to go on sale in the States before the end of the year or in the beginning of 2015 offering Honda a challenger for the Nissan Juke, Buick Encore and the Chevrolet Trax. Today's announcement that included a new picture of the HR-V follows the release of the first official photos of the U.S.-bound model at the 2014 New York International Auto Show in April and the debut of the HR-V Study at the Paris Motor Show earlier this month. There don't seem to be any meaningful differences from the European HR-V other than the study's cooler-looking headlamp fixtures with LEDs, bigger wheels, gloss black body trims and chrome side skirt décor. Built on the same global compact platform that underpins the latest Fit, the HR-V also features the same central-mounted fuel tank and fold-flat Magic Rear Seat as the sub-compact hatch. Honda hasn’t confirmed U.S. powertrains yet, but we suspect that it will get the Fit's 130hp 1.5-liter i-VTEC four-pot. Previously, company officials had said they're also pondering a turbocharged version of the same engine for the States.